Berlin-based Movinga has pegged the monthly cost in Vancouver at just US$66.26. That’s the cheapest way to travel, and it only works for those who live relatively close to work or school. In a recent study that compares transit costs around the world our system ranks about half way in a list of 89 that puts Cairo as the cheapest and London as the most expensive. Toronto is in the top ten. Berlin, Germany, 18/01/2017 – Online moving platform Movinga know that after the cost of housing, food and transport are the two most relevant expenses to take into account when relocating. As part of the 2017 Relocation Price Index, a study detailing the costs associated with relocating to some of the world’s most in demand cities, Movinga also observed the cost of transportation around the world in 89 cities. The full Price Index of Public Transport cities can be found at the base of this press release. The data was taken from all official transport offices within each city, using the cost of a monthly ticket within the major travel zones to standardise the results. The findings place London, UK as the most expensive city to use public transport at $153.58 and Cairo, Egypt as the most affordable city at $6.50 for a monthly ticket. See here for the full methodology and results of the study. The study demonstrates the significant price difference for citizens of each city. This research will be useful for those considering their ideal city to relocate to, either temporarily for work or on a more permanent basis. Transport costs were taken from all transportation companies in noted cities. Purchasing Power Parity (PPP) was not applied, in order to keep the data relevant from a local perspective. Data correct on 20th January 2017. Currency conversions calculated on 20th January 2017. Small differences in costs may exist due to recently fluctuating markets. Publishers are allowed to publish this data and graphics but we kindly ask that you give credit and link to the source. For further enquiries do not hesitate to reply to this email. About Movinga: Movinga (www.movinga.de/en) is Europe’s leading online provider of moving services. Utilising intelligent algorithms as well as a large network of local partner companies, the tech company is modernising the moving sector. Movinga customers value the simple booking process and high quality standards. Partner moving companies profit from efficient customer acquisition, disposition and invoicing. Movinga was founded in Berlin in January 2015 and is currently active in Germany and France. The management team consists of the experienced scale-up managers Finn Hänsel, Christoph Müller-Gruntrum and Jochen Cassel. 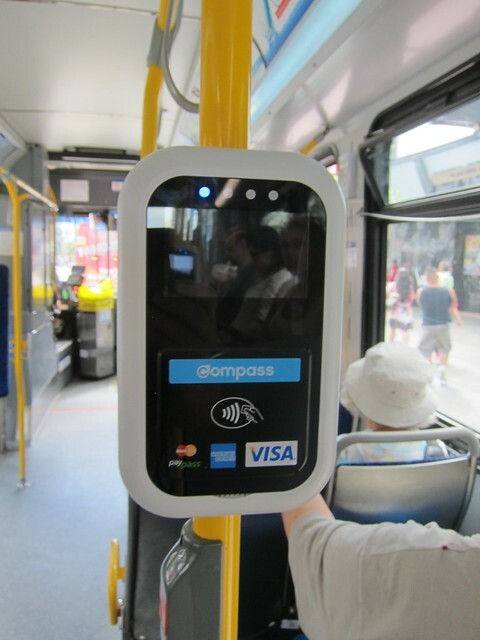 Jordan Bateman of the Canadian Taxpayers is making a big fuss about the number of times CMBC bus drivers push the button which records “fare not paid”. He thinks that the loss of fare revenue is such a big issue that it justifies voting NO in the upcoming referendum. You can’t trust Translink, he says. I thought it might be helpful to actually work out what the size of the problem might be – something that Travis Lupick has a shot at in the article I linked to above but fails to make clear. The Average Fare on Translink was $1.86 in 2012 (Source: Translink) and the size of the business (according to Lupick’s article) $1.41 billion. 2,762,363 button pushes multiplied by $1.86 is a revenue loss of $5,137,995.10. It looks like a big number but it is 0.36% of the amount needed to cover Translink’s expenses. So according to Jordan Bateman we should not try to increase transit spending in this region because Translink records a 0.36% revenue loss from fare evasion on its bus operations. Actually a lot of button pushing does not happen, especially on the 99 B Line which has all door loading. So maybe the revenue loss is closer to 0.5%. Big deal. By the way, this is the same Jordan Bateman who was once a Langley Councillor and an advocate of transit expansion. I just had a phone call from Jeff Nagel to talk about this post. This allowed me to discuss my “moment d’escalier” – the thoughts I had after I posted. What I ought to have written in the first place. The amount of money that Translink loses to fare evasion is NOT the biggest issue facing us. If fare evasion could be entirely eliminated the problem of transit in this region would remain. There is not enough transit service to meet existing needs, let alone what we will need over the next twenty years to meet the increase in population – and the increasing preference for people here and coming here to have a more and better choices than driving everywhere for everything. Concentrating on fare evasion was what lead to the Compass/Faregates fiasco. Far more is being spent than than will be recovered once the system is actually implemented. And that is not Translink’s choice – it was one imposed by the province. The scale of fare evasion needs to be viewed in terms of what is needed to cover the cost of operating the entire system. So that is why my shorthand expression of percentage of revenue loss is expressed that way – and not as how much gets collected by bus fareboxes. Because we have an integrated transit system – people use buses to get to SkyTrain – or ride SkyTrain and then transfer to a bus to get to their destination if you prefer. All door loading was introduced on the 99 B-Line as a way to improve service. Most people on that bus have U Passes or other tickets: they are regular commuters, so they are not about to use cash to pay a fare. And the fare media were not even designed to go through the farebox. 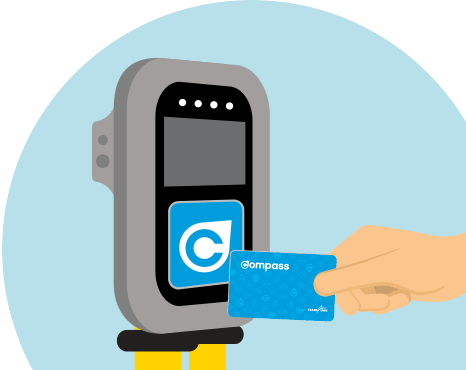 And even those who do use Compass cards may not be getting counted. But that does not matter very much. There is no realistic, economical way to check the fare media validity of every rider for every part of their trip and it does not look like a completely functional Compass system will be able to do that either. In exactly the same way, the insistence on audits, or the fuss about executive pay, does nothing to address the critical lack of adequate funding for transit expansion. And a half per cent on sales tax in the region is at best a stop gap – and not a real substitute for an adequate funding system. The value of Greater Vancouver to the BC economy means that the people who live outside the region ought to be part of the solution. Just as people in Greater Vancouver help pay for transit in Prince George – and bridges in Kelowna. I do not like the regional sales tax idea and I think the current referendum is wrong headed. But that does not mean I support voting No. That is just shooting ourselves in the foot. We have to stop giving Jordan Bateman, The CTF and the Fraser Institute so such attention. They are like climate change deniers, howling at the moon. We have serious problems and we need serious people to deal with them. Jordan Bateman has no interest at all in those problems or how to solve them.